These are milestone projects that have advanced the entire industry due to their significance and visibility. The 2018 contest received dozens of top projects, and over 250 people witnessing the award presentation at an evening reception. This year’s contest promises to be even better than last year’s highly successful event. To maximize your project’s chances of winning see “Secrets of Winning Entries” below. Project materials must be submitted with an official Entry Notebook. This notebook can be downloaded from the World Wide Web at icfmag.com/builder-awards. Cost is $90 (U.S.) for the first Entry Notebook submitted. For each additional notebooks submitted, the fee is $50 (U.S.) each. 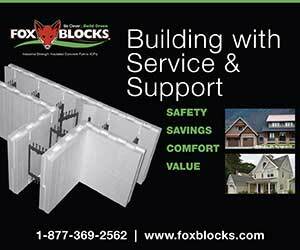 Members of ICF Builder Group will have the fee waived for the first project. Entry Notebooks must be postmarked no later than Friday, October 12, 2018. Entries will be placed in categories based on total conditioned square footage of the home, excluding the garage and attic space. Entries must include third-party verification of this, such as a Energy Star or blower-door test certificate, a copy of the floor plan, or a photograph of the “livable space” calculation of the blueprints. Large Residential: Single-family residential buildings between 3,001 and 6,000 sq. ft. of conditioned space. Unlimited Residential: Single-family residences larger than 6,000 sq. ft. of conditioned space. A minimum of 7 and a maximum of 30 photographs shall be submitted with each entry. At least 4 photos must be of the project under construction, and 3 must be of the finished project, including at least one photo each showing the completed interior and exterior. Photos should illustrate the project’s ability to address each of the judging criteria. Photos must be submitted in digital format, and all photos submitted should be separate, high resolution image files in JPG format. (When photographs are embedded in the PDF Entry Notebook, those images must also be submitted separately as image files.) High-resolution images are 300 dpi or better, and at least 1000 pixels in the smallest dimension. Larger images are accepted and encouraged. Completed Notebooks and photographs can be submitted in a number of ways. 1) Online: Fill out the PDF form then save and click “Submit”. Photos will need to be uploaded via DropBox or FTP separately. 3) Send via Online File Sharing Site such as Dropbox. If you have questions or need additional information, email Clark Ricks at editor@icfmag.com. What are the ICF Builder Awards? 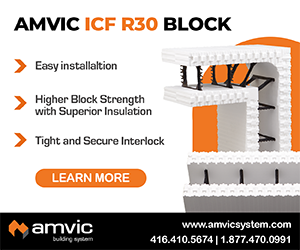 The ICF Builder Awards are an annual project-of-the-year competition for the insulated concrete form (ICF) industry. Winners are selected in multiple categories, including Light Commercial, Heavy Commercial, MultiFamily, and three residential divisions. They represent the industry’s very best, and generate significant positive publicity, especially for the construction and design teams. This year’s contest attracted entries across the globe, including theaters, schools, condos, and residential projects of every shape, size and style. 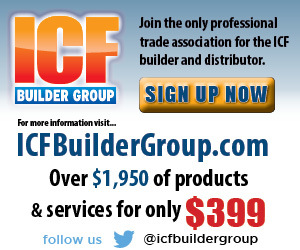 Members of ICF Builder Group can submit a project free of charge. For all others, the fee is $90 for the first project, and $50 for each additional project. Currently, there is no cost or admission fee to attend the Award Presentation. Everyone who submits a project will be notified whether their project was a finalist (top four) or not by the third week of November. After double checking the compiled scores, winners (top three) and finalists (fourth place) will be contacted again via email during the first week of December. Exact placement of the first, second, and third place projects is announced at the evening ICF Builder Award Presentation gala held in mid-January. When and where will the ICF Award Presentation take place? The Award presentation event is held in conjunction with the World of Concrete trade show at the Las Vegas Convention Center, on Paradise Blvd. in Las Vegas. This year, the ICF Builder Award presentation will be held Wednesday evening, January 23, 2019, from 5:30-6:30 p.m. The Convention Center is a huge place, with three cavernous exhibit halls, and numerous ballrooms for events, educational seminars, etc. (The World of Concrete typically attracts in excess of 50,000 attendees.) Our event is held in Room N256, one of the ballrooms just outside the NORTH exhibit hall. Arriving by taxi, simply enter the building and take the escalator upstairs. There is no cost or admission fee to the Award Presentation. What is the Award Presentation like? The room is set with round tables for about 250 people at 8-10 chairs per table. Doors open for general admission at 5 p.m., with the actual presentation running from 5:30 p.m. to about 6:30 p.m. (Winners are invited to a VIP reception that begins at 4:30.) If you want to stay and socialize after the presentation, we hope you will! We’ll have drinks and light refreshments, and plenty of conversation tables to facilitate networking. A full-color, 36-page program at each seat outlines the finalists in each category, with basic construction statistics and a handful of photographs. The presentation takes about 45 minutes, and spends a few minutes detailing each of the award-winning projects. At the end of each project profile, the winning construction team will be invited to come to the front, and the individual who submitted the project will be presented with a black granite plaque laser-etched with the project details, including a photo of the project. Duplicate plaques will also be handed out at this time. A professional photographer will be on hand to document the presentation. A black granite plaque will be presented to the submitter of each winning project. This is the individual listed as submitter” on the associated Entry Notebook. The plaque is laser-etched with name, category, and photo of the project, as well as the submitter’s company Additional plaques are available for other members of the project team, and can be customized. They will be handed out at the presentation as well. Am I expected to make a speech? What if I want to also attend Word of Concrete? 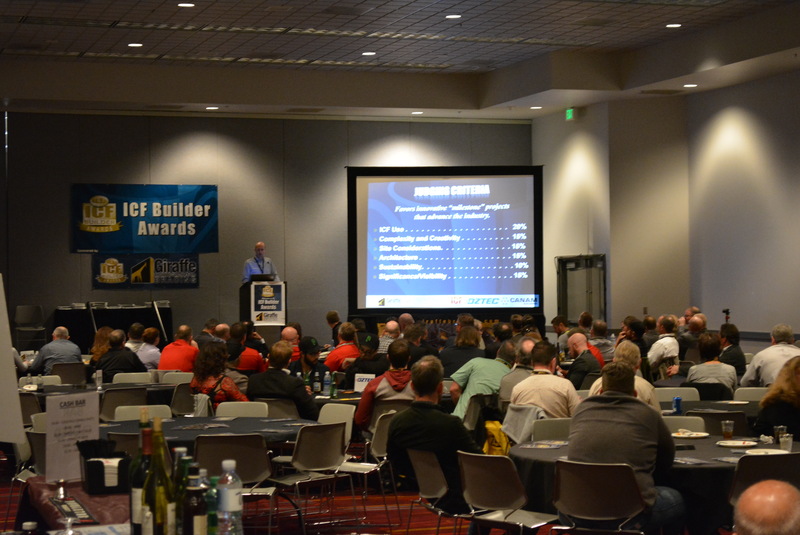 If you would like to enter the exhibit hall or attend the education seminars on the days surrounding the Award Presentation, World of Concrete requires an admission fee and registration. Again, our event is separate from World of Concrete, and if you are only attending the award presentation, registration for World of Concrete is unnecessary. Can you assist with travel and accommodations? Las Vegas has literally thousands of hotel rooms available at virtually every price point. We don’t reserve blocks of rooms at a specific place. However, the internet is your friend, I find that the best deals are usually found at “off-the-strip” hotels. Did I see something about a press kit?